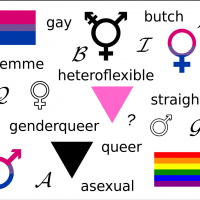 The Story: A new study published in the medical journal Pediatrics finds many more teens than previously thought say they are transgender or identify themselves using other nontraditional gender terms. The Background: In the United States, an estimated 0.6 percent of adults identify as transgender. Previous studies estimated the number was slightly higher for teens aged 13 to 17—0.7 percent. If these new estimates are correct, it means that young people are 329 percent more likely than adults to identify as transgender, and that there are almost as many transgender teens as there are adult men and women who identify as gay and lesbian. What It Means: In Johann Wolfgang von Goethe’s 1774 novel, The Sorrows of Young Werther, the protagonist describes suicide as a heroic act and, as Matteo Savin says, “proof of the strength of human being, who, oppressed by life unhappiness, is eventually able to perform a last titanic action, just like people rising up against a tyrant.” In the novel, Werther kills himself, and in popular legend, this story led to an epidemic of suicides across Europe. In several countries, the novel was banned to prevent spreading its destructive influence. Whether suicides increased in the 18th century because of Young Werther is debatable. But what is not in dispute is the Werther effect—that suicide is a social contagion, and than an increase in suicides tends to follow media coverage of suicides or is inspired by reading about suicides.